My name is Jack Edwards and my sport of choice is Road Cycling. I love to push myself both in training and racing and constantly strive to gain improvements both in my own performance and against my peers. I have been cycling for approx 4 years and would love to pursue a career in cycling,ultimately racing overseas. My favorite cycling discipline is long distance road races and really enjoy racing as part of a team . I have made friends all over the country from cycling and enjoy travelling to races almost every weekend all year round. I am passionate about everything cycling and enjoy encouraging others to ride, even assisting other riders in my local club, with training programs to help improve their riding. When I am not racing or training I enjoy snow skiing with my family, knee boarding in summer or trout fishing with my Dad. 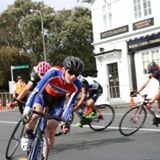 I am currently studying NCEA level 1 at Taupo nui A Tia College and take pride in representing my school, my club and the Taupo district at cycling events both locally and nationally. To assist with some of the costs with racing and to help pay for some of the equipment required I do two paper rounds and do odd jobs when ever I can. With all of these time commitments I have had to become very well managed and focused on my goals.